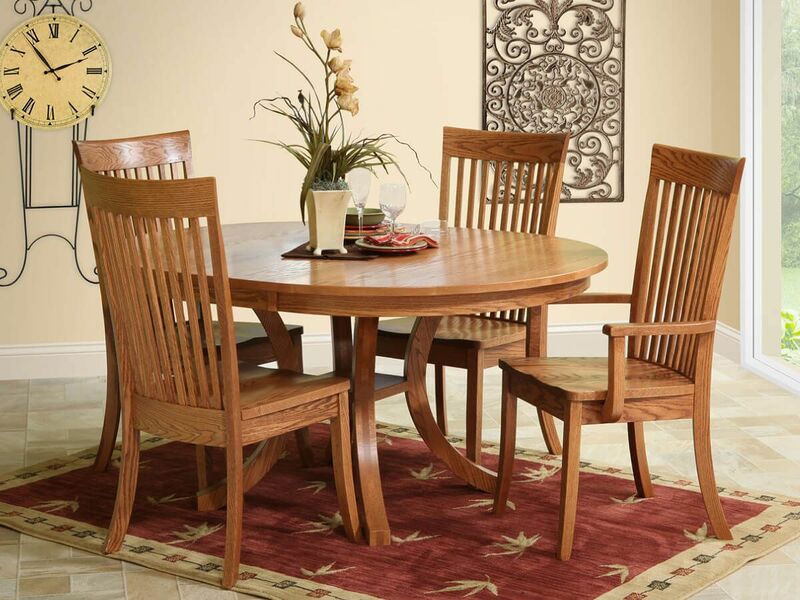 Amish craftsmanship shines in our Coulter Round Dining Room Table. One stout, curved pedestal supports a beautiful one inch thick solid wood top. Seat four comfortably in the round dining table or add up to two leaves to seat six in an elegant oval shape. The Coulter Dining Table opens easily on geared slides to ensure longevity and convenience. You needn’t worry about an uneven dining table surface, each foot of the base is equipped with a leveler for a polished presentation. Customize your Coulter Oval Pedestal Table by choosing from a variety of American hardwoods, stains, and edge profiles. Each table is a made-to-order master piece. 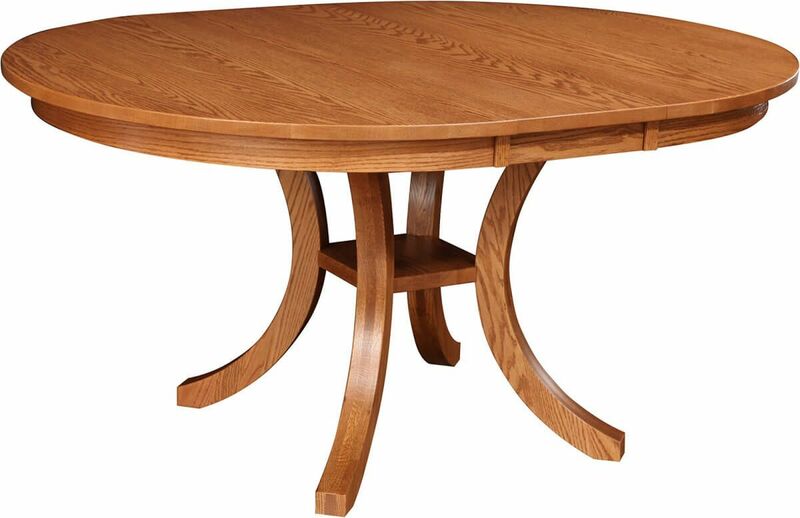 To obtain the pictured look, order your Coulter Pedestal Dining Table in Oak with a Spiced Apple finish. Table top shapes are hand cut, hand sanded, and hand rubbed to a glossy finish. After our industry leading catalyzed finish application, your handcrafted, oval pedestal table is resistant to spills and daily wear and tear. Floor to apron 26 1/4"